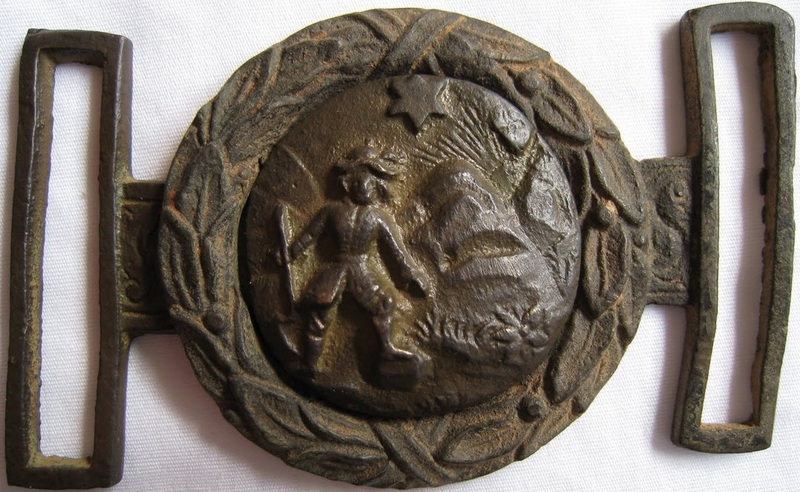 TG-Gold Miner's Utility Belt Plate Circa 1850's. 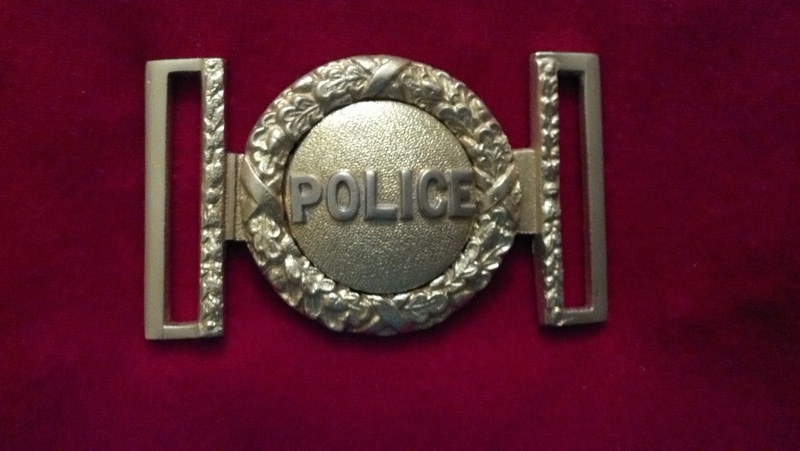 This buckle is cast in nickel silver and made to look antique. 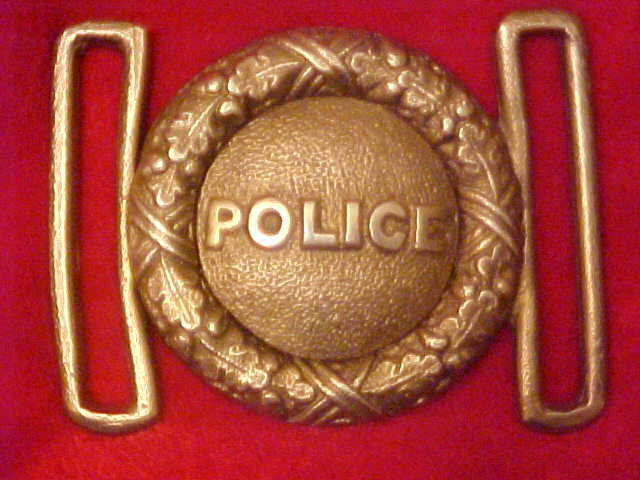 Also yellow or red brass. 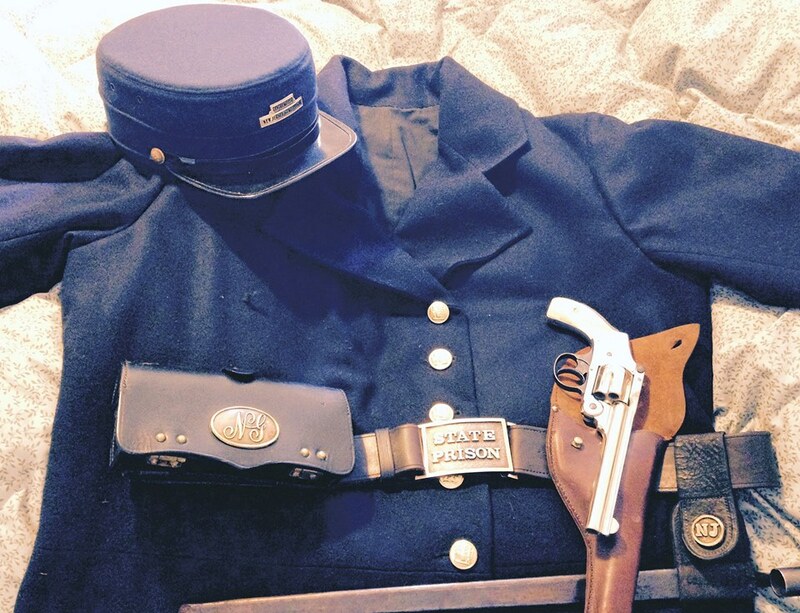 1800's Police with Police Belt Plate. 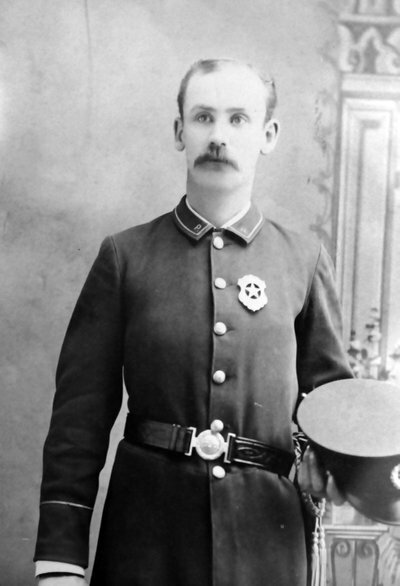 Original Miner's Two Piece. Same type as the TG-Gold Miner's pictured above. 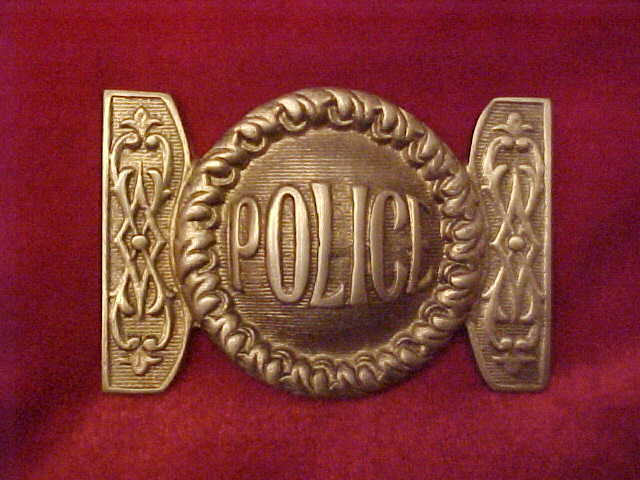 TG - (6) Police Belt Plate Circa - 1851. 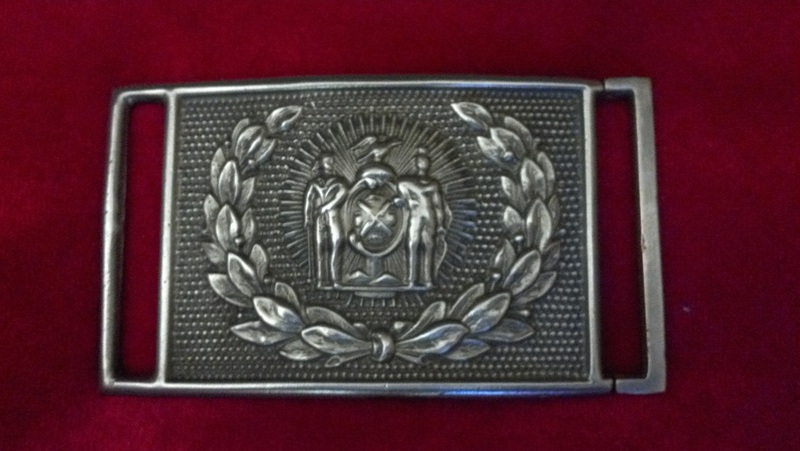 Cast in nickel silver to look silver plate like the original. 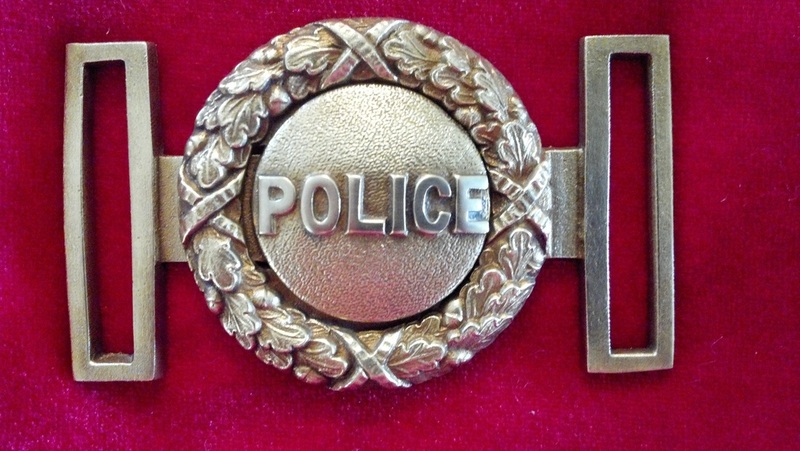 Also yellow or red brass. 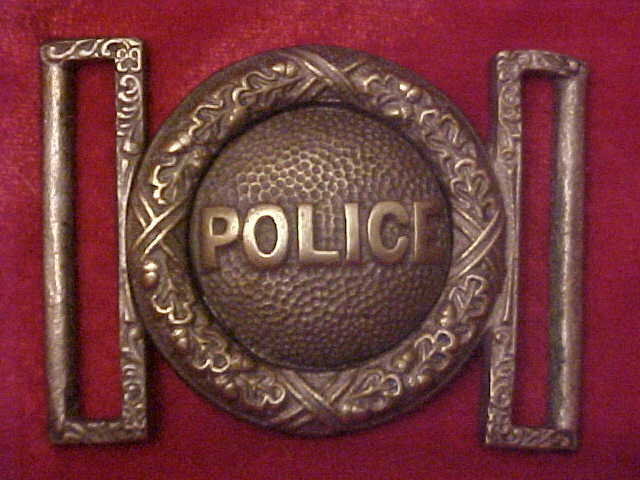 TG -(7) Police Belt Plate Circa - 1851 - 1900. 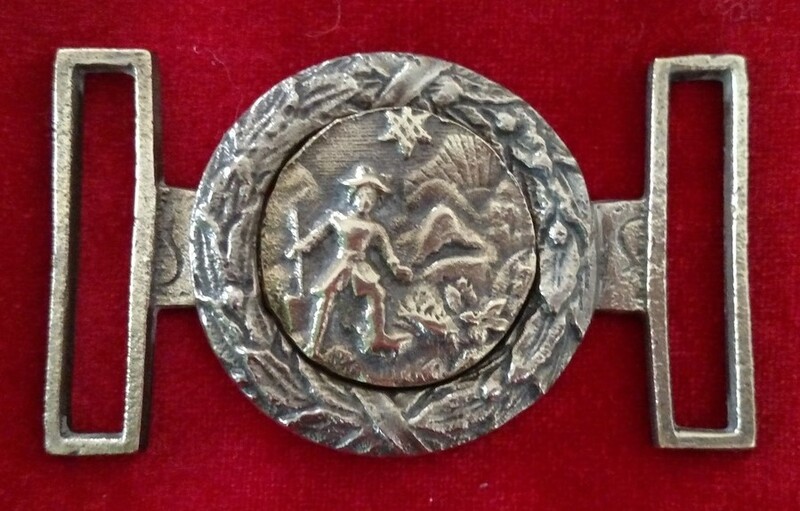 Cast in nickel silver. 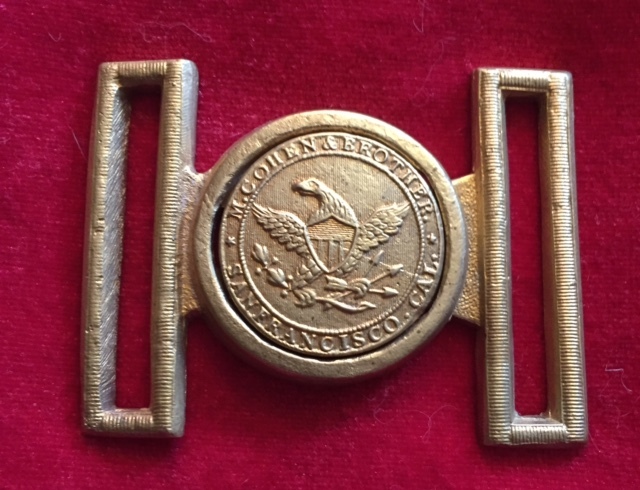 TG-STATEPRISON State Prison Sword Belt Plate. 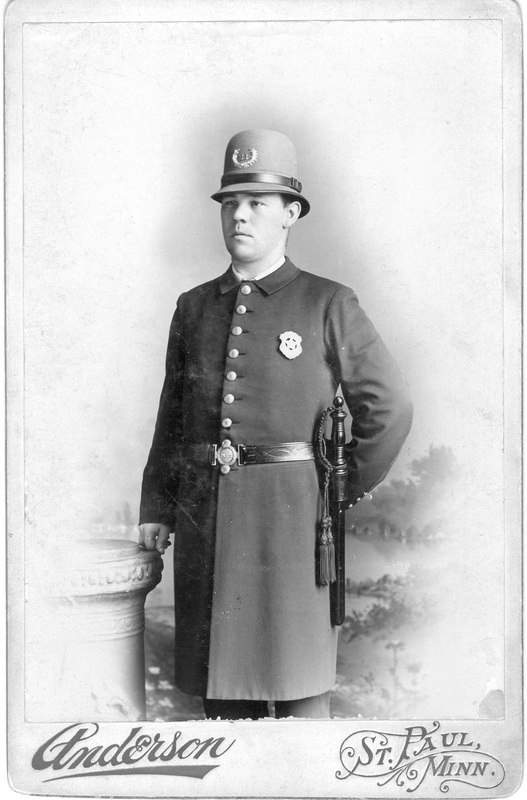 Circa 1800's. 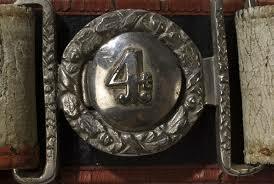 Sale for buckle only. 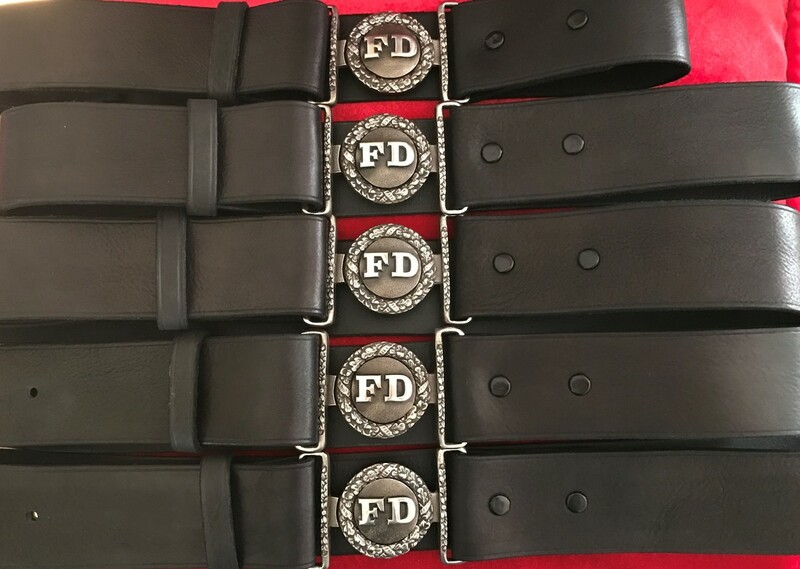 Order belt in the Belt and Leather section. 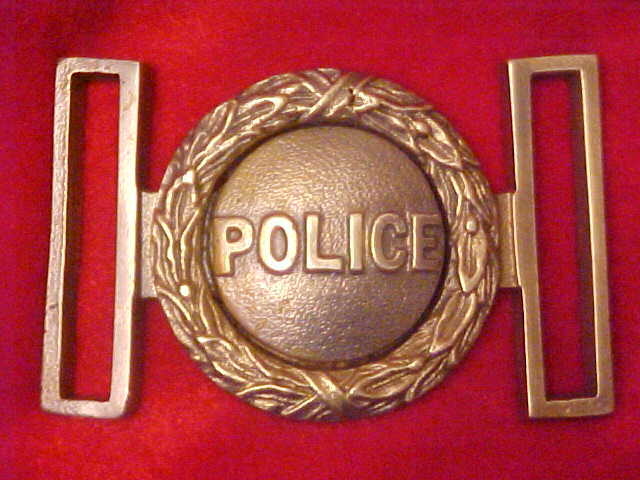 1800's Police wearing the Police two piece belt plate. 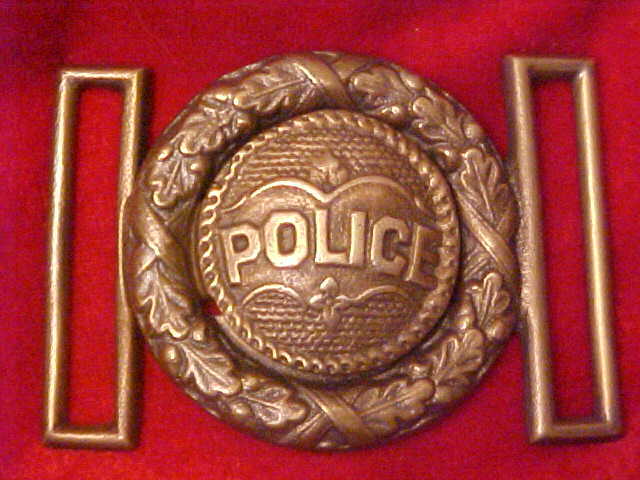 Original Fire Department belt plate on the white leather belt. 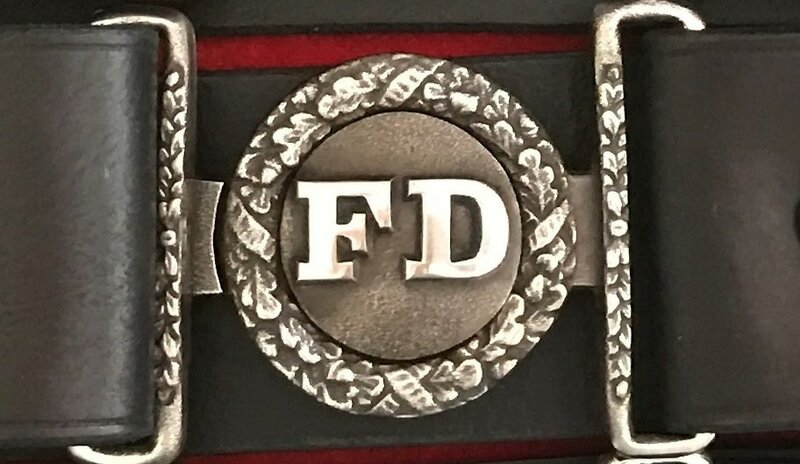 Nickle Silver Fire Dept. 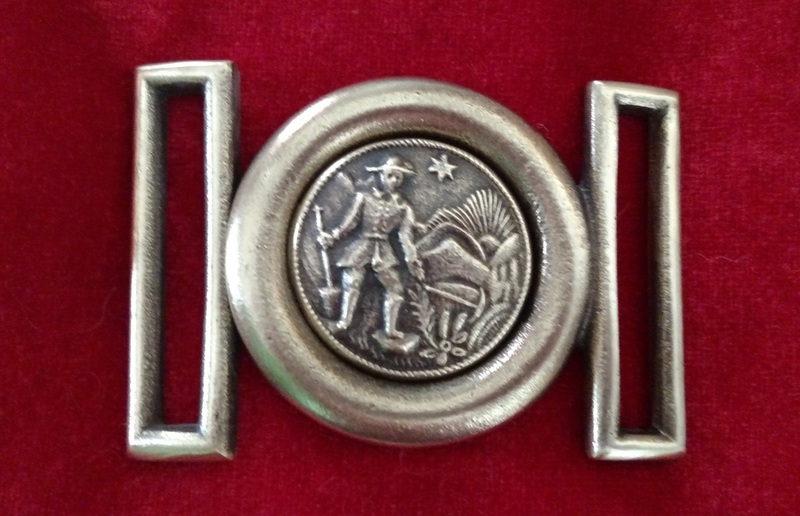 Belt Plates on black belts made for a New York costume company. 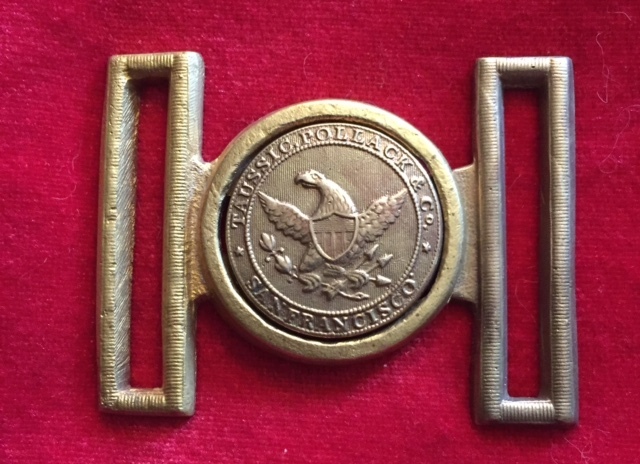 A Miners buckle dug from a California mining camp. 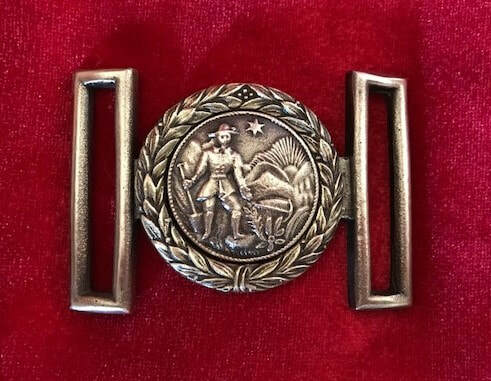 These buckles came from the stores that sold the mining equipment. 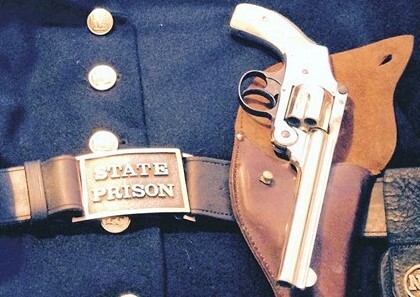 Customer sent me a photo of the custom State Prison Sword Belt Plate I cast for his period uniform. 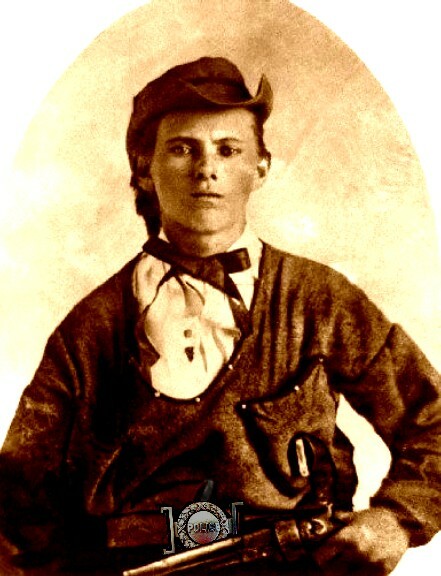 Jesse James wearing a Police two piece. I don't think so.